Mrs Smith, a fictitious 86 year old who had suffered falls and had several hospital visits (and uncoordinated care), was first introduced as a concept in 2013. 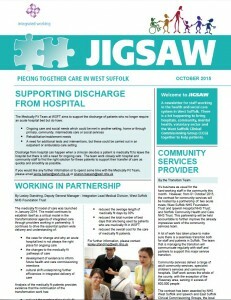 Since then, health and social care professionals and voluntary sector partners have worked together to design an integrated system to support this fictional patient. 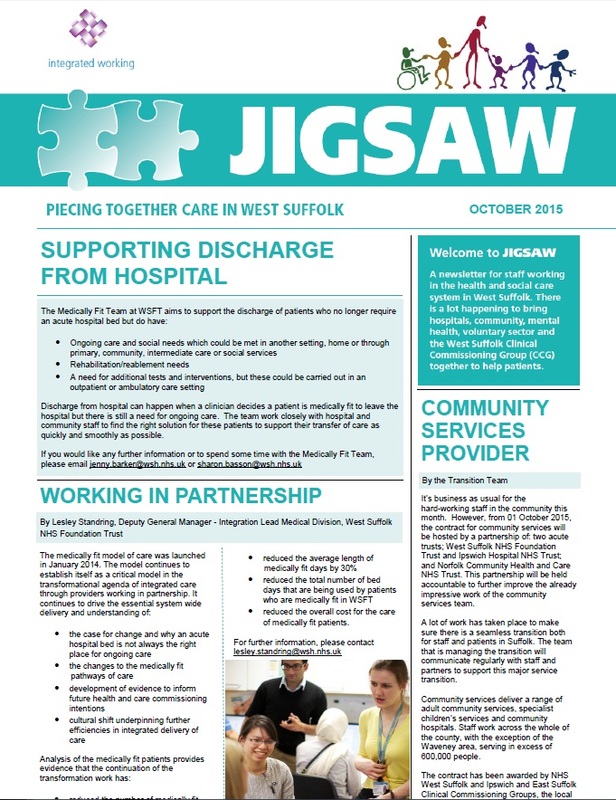 Jigsaw is a monthly newsletter that is designed to provide staff at every level across the system with updates on how the integrated working projects are developing locally and to offer them the opportunity to shape the complex, exciting programme of work.